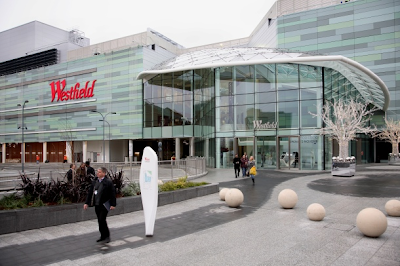 I have visited the Westfield shopping centre in Shepherds Bush a few times. 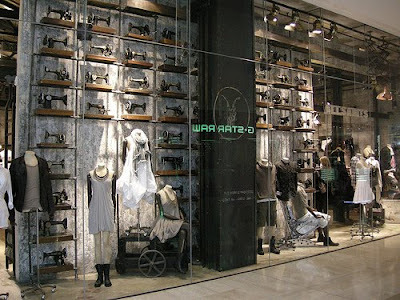 With the tall cellings, the majority of shops have been designed to make the most of the height. 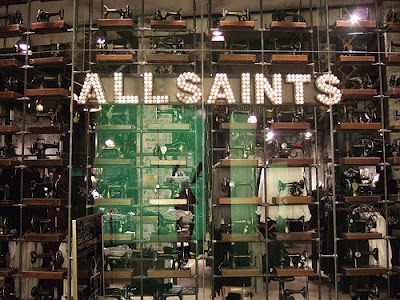 I particularly like the Allsaints shop, which has one side of the building full of original singer black sewing machines. 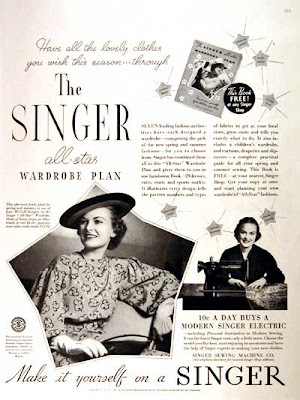 I found this advert from the thirties, which shows the same style machine. 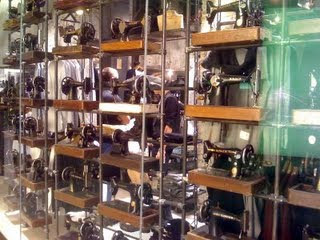 There is also a range of wooden tailors dummies within the display.